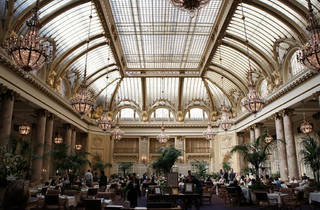 Garden Court, the ornate Italianate dining room inside the Palace Hotel, was opened in 1909 to great acclaim. 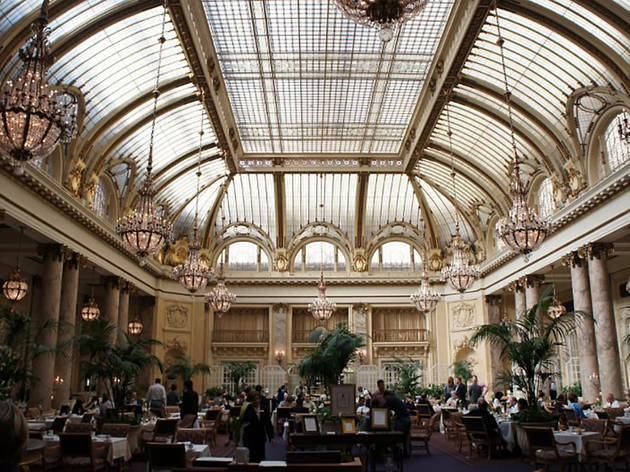 Accented by Austrian crystal chandeliers, gilded archways and a multi-million-dollar stained-glass dome, Garden Court remains a living monument to opulence and charm—and even received historical landmark status in 1969. The hotel restaurant is open daily for breakfast, lunch and dinner. For a real treat, take a seat for the restaurant’s lavish Saturday afternoon tea complete with tiny sandwiches, scones and Champagne.